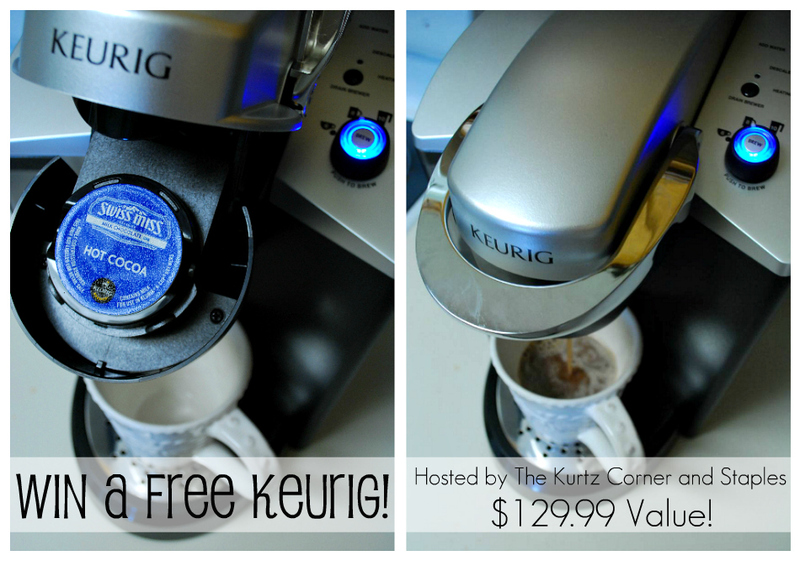 The Kurtz Corner: Keurig Review and Giveaway! Disclosure: Staples.com provided me with this Keurig OfficePRO Coffee Brewer for the purpose of this review. All thoughts and opinions expressed are my own. Giveaway prize is also provided by Staples. To see the full line of Keurig brewers and K-cups, visit Staples. Now, I'm not a huge coffee drinker, but I occasionally enjoy a frapaccino every now and then. My husband on the other hand is a coffee fanatic! I'm not even sure how many cups he drinks per day, maybe 3 or 4?! He's a coffee maniac! So, when Staples contacted me to see if I'd be interested in reviewing a free Keurig OfficePRO Coffee Brewer I of course said yes! I knew my husband would love it and hey, I do love me some hot chocolate and the Keurig can totally make that too! 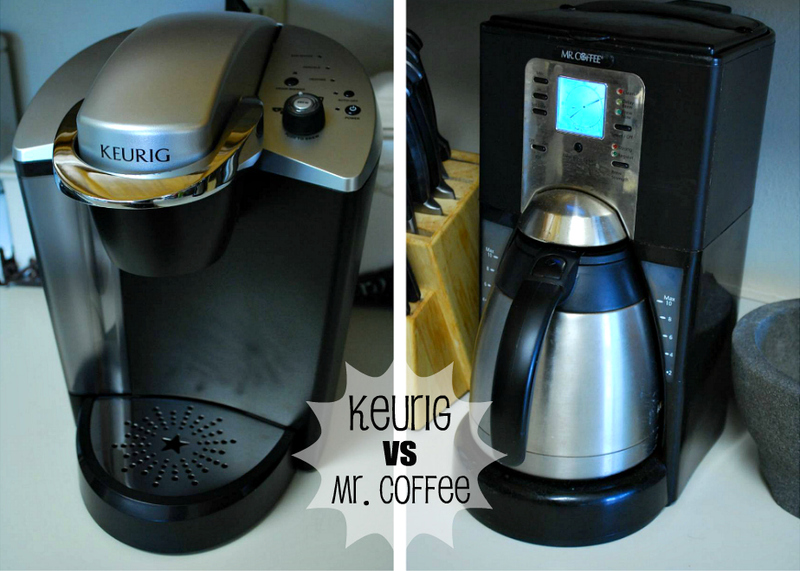 For my review I thought I would compare our old Mr. Coffee to the new Keurig OfficePRO. Give you a little of the good the bad and the ugly! Don't forget, I am giving one away for FREE at the end of this post, a $129.99 value!! A little about this particular Keurig model...The Keurig OfficePRO Coffee Brewer comes with a choice of 3 cup brewing sizes, 6 oz, 8 oz, and 10 oz. It is super easy to clean and refill with a removable 48 oz water reservoir and this Keurig commercial grade brewer generally brews about 10 times the volume of a typical home coffee brewer! GOOD: The Keurig is sleek, compact, and fits well on the counter top. GOOD: The K-cups already come pre-measured, no guessing on the amount of coffee grounds you need! GOOD: No need to buy coffee filters! BAD: My first attempt at hot cocoa was a little watery. However, I think choosing the next cup size down will remedy that. GOOD: You only have to make one cup! No more wasting extra cups of coffee that you couldn't drink. GOOD: You can make a cup of Joe in less than a minute! BAD: The individual cups can be pricey, but you can always buy them with a 20% off coupon at Bed Bath and Beyond. GOOD: You can use regular coffee grounds to make your coffee stronger and cheaper with a special attachment. Overall, I would totally recommend purchasing a Keurig (or winning one here!). Especially if you are like me and only drink one cup of coffee and you need it quick! This will save you a lot of time, and since Starbucks makes K-cups you can save money and brew your own Starbucks coffee at home! I also hear that the Keurig Donut Shop Coffee K-cups are loved by many! Okay, ready to win one for yourself?! Staples wants to hop you up on some caffeine with your very own Keurig Office Pro Brewer, a $129.99 value! Entering is easy, just follow the simple rules below! Good luck! I would try the Donut Shop iced coffee cups. After baby #2 this Nov, I will need all the caffeine I can get! I would like to try the cafe almond biscotti K-cup. Sounds delicious! I'd love to try hazelnut! Hmmm, I have never been too interested in trying a Keurig but I do believe your review has changed my mind! While I love any kind of coffee, I think Hot Chocolate would be delish! I'm a French Vanilla kind of girl, so that's what I'd like to try! The Creamy Iced Coffee sounds great! I want to try the hot chocolate ones! I would love to try the Café Almond Biscotti. Occasionally at Starbucks I will ask the barista to add a biscotti to my frappaccino. I am a coffee addict! Have to have it literally to function. I had to create an art project for a college course and I did an abstract self portrait w/a coffee pot pouring out coffee that flowed down to be my hair because I cannot think or function without my morning cup of coffee! I would LOVE to win this! I was just telling my husband this week that I wanted a Keurig for the Office! I'm anxious to try the iced coffee! :) Thanks for hosting the giveaway! I want to try the dunkin' donuts! Green Mountain® Iced French Vanilla Coffee. I'd love to try the apple cider!!! I've always wanted to try hazelnut! 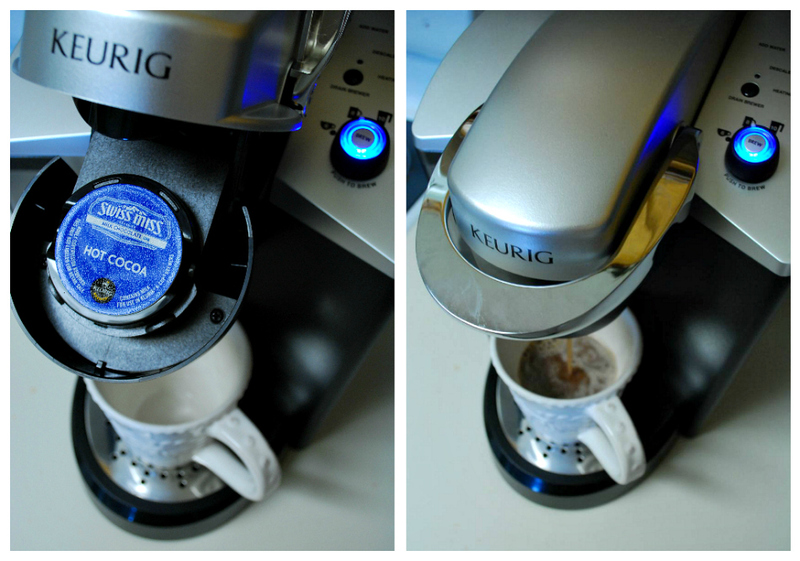 I would love to try the Keurig® K-Cup® Cafe Escapes™ Chai Latte! I'd love to try the Nantucket blend! I would love to win! I'd try Swiss Miss Hot Chocolate! Thank you for hosting this Keurig giveaway! I'm most excited about Keurig® K-Cup® Starbucks® Tazo® Zen™ Green Tea. Fingers crossed! I'm a loyal French Vanilla fan, but I'd love to try the Chai Latte or the Donut Shop Coconut Mocha! I would like to try the Donut Shop k cup! I'd love to try the Keurig® K-Cup® Caribou Coffee® Caribou Blend Coffee, Regular K-Cup! I'd love to try the cafe almond biscotti coffee! I would love to try the Cafe Escapes Chai Latte. Oh! I'd LOVE to try the Green Mountain Half-Caff! !